Go ahead, celebrate. It's almost Friday! If there's one thing I love about Thursday, it's knowing that the weekend is right around the bend. Today's delightful post is centered around Jason Mosberg and his book, Grift. I must admit, when Jason first contacted me I was instantly intrigued by this story! I'm fairly certain you will be too, but let's give you a chance to find out, shall we? Sound like something up your alley? Intrigued, and wanting more? We've got you covered! Check out this excerpt, scroll to the bottom for a giveaway, and don't forget to add Grift to your reading list! Jason Mosberg lives in Los Angeles where he works as a screenwriter. He has optioned several feature screenplays to independent financiers. 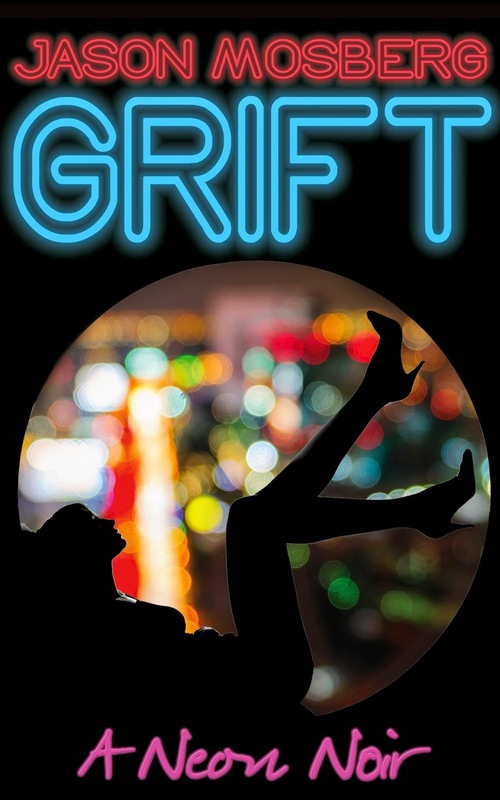 He wrote his first novel Grift while staying in cheap hotel rooms in Las Vegas. When he’s not writing, Jason can be found playing soccer, walking, and over analyzing everything.Having grown up in Delaware, Jason attended Wake Forest University before he lit out for the west coast. His top five TV shows of all time are The Wire, Mad Men, Breaking Bad, Six Feet Under, and Twin Peaks. His one vice is claw machines. On the book side, he is represented by Andrea Somberg at Harvey Klinger.